I'm sorry to hear that you have accidentally deleted the whole SMS inbox or outbox in your ZenFone phone, and what's worse, without any backup on computer or cloud. Some people ask me whether the SIM card can help. Then answer is NO. The SIM card can only store the information connecting to your carrier. But you don't need to panic, because Android data recovery software like the Coolmuster Lab.Fone for Android will help. 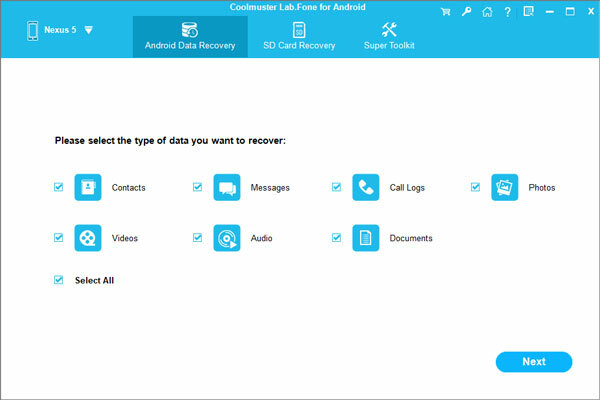 Coolmuster Lab.Fone for Android is an Android data saver that can help Android users to recover back not only text messages, but also call logs, contacts, photos, videos, audio files, documents and more deleted or lost from ASUs ZenFone, ASUs ZenFone 2, ZenFone 5, ZenFone 6 and so on, even if you haven't done any backup for your phone. 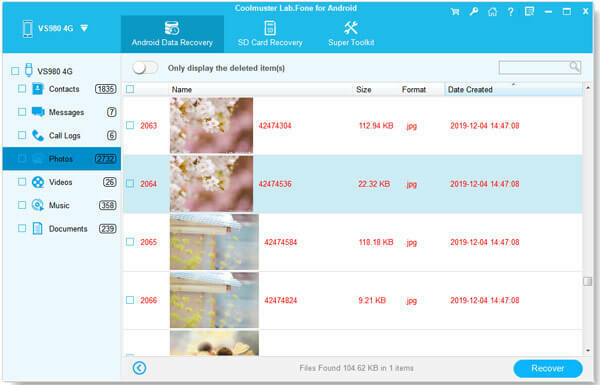 Content, phone numbers and date of deleted ZenFone messages can be restored in HTML format. Read the guide below and see how the Lab.Fone for Android performs. Before that, please free download the trial version of the program via the download buttons below to have a try. How to Retrieve SMS Messages on ASUs ZenFone? To begin with, use a USB cable to connect your ZenFone phone to the computer where you have the ZenFone SMS recovery tool installed. Launch the program and it will detect the connected ZenFone phone immediately. All recovered file types are displayed and for this topic, you should choose "Messages" tab only. Then, click the button of "Next" to begin the scanning process. All deleted and existing messages will be scanned out together. All SMS found will be displayed in the table. You can view text content and other info such as name, phone number, and date, select those you want back and click the "Recover" button to save them on your computer.